My sister, Gail, was in town from Chicago this past weekend, so we celebrated Thanksgiving a little early. It was so nice to be with my family and eat some incredible food. 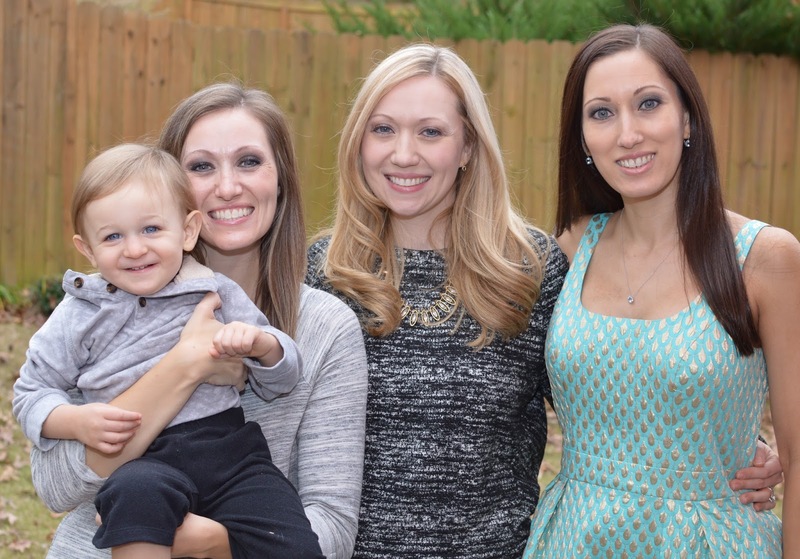 My sister, Laura, with her youngest son, Cole, Gail (middle) and me (far right). 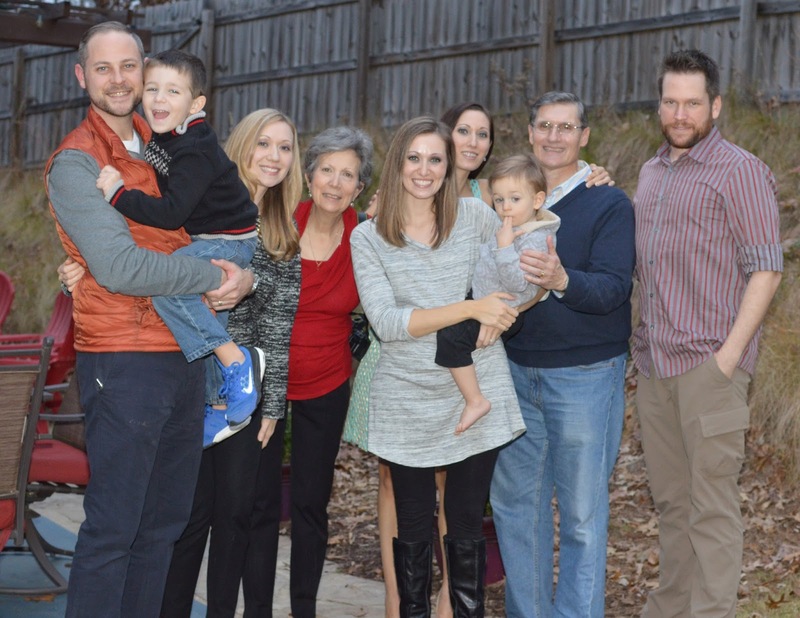 The original Fontanelli five with our husbands and kids. Gail's hubby was in Chicago and couldn't make it. Laura and Matt hosted and fried the turkey. Laura also made creamy mashed potatoes and a pecan pie! Chapin made gluten-free brioche stuffing (vegetarian) and we brought cupcakes from Georgetown Cupcakes in Buckhead. My mom made an Italian meat stuffing (my Grandma's recipe), corn casserole, salad and corn bread. The weather has turned cold here in Atlanta, and the temperature has dropped. We had a lazy Sunday yesterday, just hanging out at home, watching Netflix and enjoying the fire. Today, it's back to the office, and I feel a bit stressed trying to cram a five-day work week into just three days. I'm looking forward to the upcoming four-day weekend! You can also rent the dress on Rent the Runway.